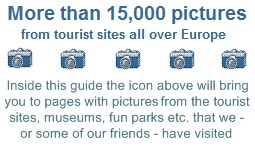 European Tourist Guide - Find the most interesting tourist attractions and sights all over Europe. On this page you can find these attractions and sights sorted according to the type of attraction that you are looking for. Click on one of the categories below and you will get a list of all the attractions and sites of that type, that we have spotted in Europe. The tourist sights and attractions are sorted by five major groups, and within each of these groups they are sorted by a number of sub-groups. This category has its main focus on theme, fun, attraction and aqua parks, mazes, playgrounds and other places where "children" - of all ages - can have fun. Most of these places are places, were both you and your family can have fun. 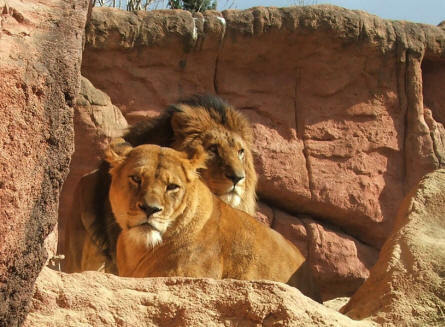 This category focus on tourist sites and museums that are related to the nature - like zoo's, animal parks, mines and caves, national parks, museums of natural history etc.. This category focus on museums and sites that display vintage (and modern) cars, motorcycles, trucks, trains, aircrafts, ships and other technical stuff. Places that gives you an insight to the technological history in Europe. This category focus on museums and historical site that can tell you a lot about the history of Europe and the European countries. These museums and sites are sorted in two ways - either by historical periods (like the great wars) or according to what they are displaying - open air museum, buildings, sports history etc.. This category focus on all kinds of art museums, museums related to the history of European music and theatre and museums that tell something about the cultural history of Europe. Under each selection you will find the tourist sights and attractions sorted by country. For some attractions you will also find a small camera icon - click on this icon and you will see some picture from this attraction. These pictures have been taken by the euro-t-guide or some of our friends.